With the recent Target credit card fraud debacle, consumer confidence in credit card security has dropped. New measures are currently being considered for the United States by banks in terms of introducing higher security measures for cards. It is hoped that these measures will improve consumer confidence in terms of purchasing goods in stores and online. 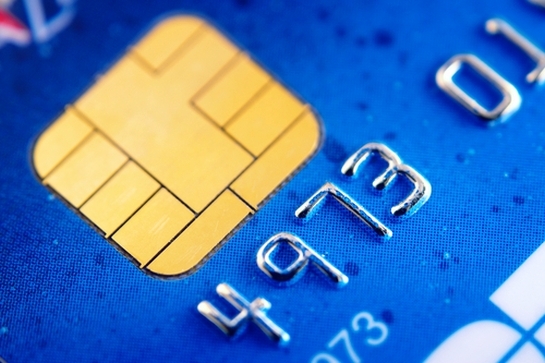 One of these measures is called EMV, and is an electronic chip on the card itself. Within the chip are additional encryption measures that make it nearly impossible to duplicate the card. EMV stands for Europay Mastercard and Visa, and is already in widespread use in Europe. Before the major breach of security at Target it was thought by the banks that fraud could be contained and would be less costly to deal with than a complete overhaul of card security. But the fact is that hackers are getting more and more advanced at cracking the security systems used by retailers and credit card fraud is getting much too commonplace. Banks are targeting 2015 as the date for turnover to the new system, as it will take a while to distribute new cards and get retailers to switch over to the new payment system. In order to get stores to switch the banks will make the stores liable for fraud rather than the bank if they do not switch to the more secure system. This risk should be enough to get retailers to switch over in a timely fashion. In addition to this new form of payment it’s crucial to educate consumers on the impact of fraud on the internet. Many people are unaware of the many different phishing schemes that are out there, and the public should be educated on common red flags that could alert them to fraud before they fall for it. Another big risk is spyware, which can often become installed on an individual’s PC without their knowledge. This type of installation is known as a drive-by installation. It’s important to install adequate malware and virus protection on a computer in order to defend against hacking and fraud – especially if the computer is often used for online purchases and banking. One of the best ways to defend against malware is to use a software tool such as Enigma Software’s Spyhunter 4 or Norton 360. A combination of the two would be even more helpful to potential users. Another strategy in protecting your information is to only browse safe parts of the internet. Gambling and adult industry sites are well known to be havens for hacking and malware attacks. These sites should be avoided in order to better reduce the risk of infection. Only do business with trusted sites and companies, and trust your gut instinct – if something seems off then there is a good chance it is. There are a lot of shady scams on the internet that prey on people who don’t double check and are unaware of the risks involved with online transactions.